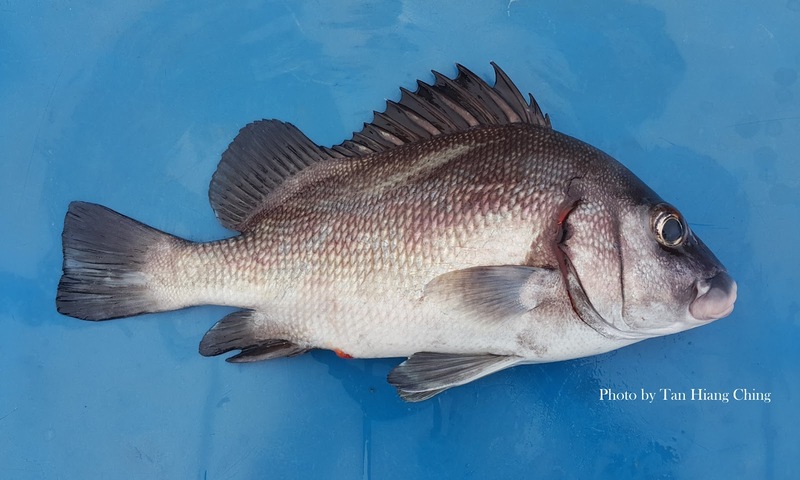 Grunts, grunters, sweetlips, rubberlips and hotlips are the common names used for the members of Haemulidae (Pomadasyidae) family. They occur in the Atlantic, Indian and Pacific oceans. They are mainly saltwater fishes but can also occur in brackish and freshwater. They are recognized by having a single continuous dorsal fin of 9-14 spines and 11-26 soft rays. They are commonly called grunts, due to their ability to produce loud sounds by rubbing their pharyngeal teeth together. Grunts are typically inactive during day when they shelter near or under ledges. They feed mostly at dawn or dusk, moving out to feed on open sandy bottoms. 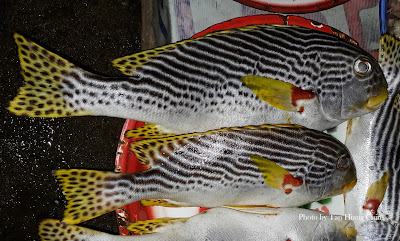 Haemulidae are divided into two subfamilies, Haemulinae and Plectorhynchinae (Sweetlips). These two groups differ greatly in diversity and distribution. Haemulinae which include most of the genera, are diverse in shape , ecology, and habitat. They have different feeding modes and prey items, and can occur from temperate reefs, coral reefs, sandy to muddy bottoms. 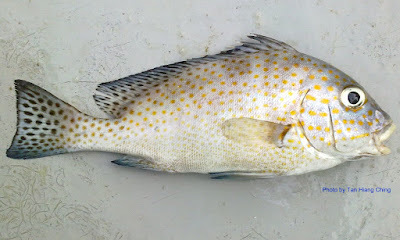 Sweetlips are morphologically uniform, with an elongated body, a round head, and a subterminal mouth. Their colouring and patterning changes dramatically throughout their lives. There are 19 genera and about 132 species of Haemulidae worldwide. Malaysia has 5 genera and 28 species of Haemulidae. 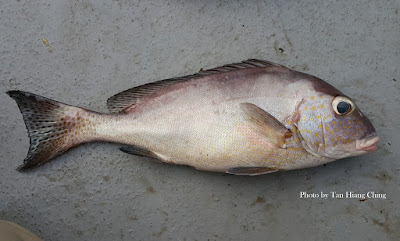 There are 17 species of Sweetlips and 11 species of Haemulinae from the Pomadasys (grunters) genus only. Main Diagnostic Features: Dorsal fin with 9 or 10 spines, and 20 to 24 soft rays. Lack notch for dorsal fin. Adult silvery. Juveniles and sub adult have spots or stripes. Size: Maximum total length about 100 cm, commonly to 45 cm. Main Diagnostic Features: Dorsal fin with 13 to 14 dorsal spines, and 15 to 17 soft rays. Juveniles body brownish and caudal fin pink or transparent. Adults body uniform dark grey to brownish or blackish. Size: Maximum total length about 75 cm, commonly to 45 cm. Main Diagnostic Features: Combination of diagonal or oblique black bands, black spotted yellow fin, yellow lips. Pectoral fins with a splash of bright crimson or scarlet red at the base. Size: Maximum total length about 60 cm, commonly to 40 cm.